This involves alien, and fish. 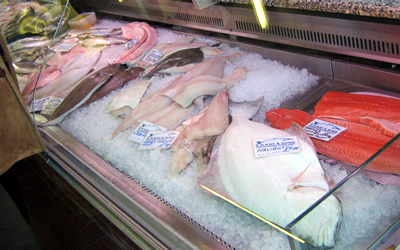 I already had the alien to hand, but needed to step out to the fishmonger for the rest of the ingredients: haddock and salmon. I am lucky to live only a few yards from this shop, and the owners live across the road from me - and opposite the pond. The "son" (younger than me but not a youth) served me and fell to reminiscing about the pond, and how it seemed that as kids they lived in the pond - newts, sticklebacks, and even eels abounded. In winter apparently they also skated on it. 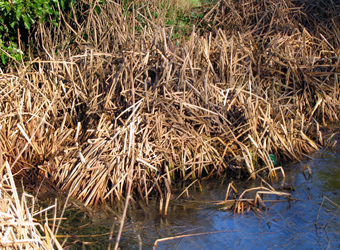 Now he is sad that some people introduced reeds and other plants around it, so it is rather choked up and not as he remembered it. He also mentioned a duck house that "someone built" and I told him that I had seen it when we first moved in and wondered about it. 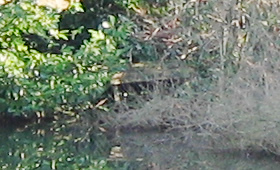 It was originally intended to float freely, but is now nestled in the bank against our boundary. 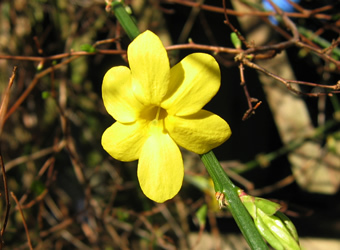 I suppose things never are as we remember them... but let us not get gloomy... here, to cheer us all up: winter flowering jasmine. 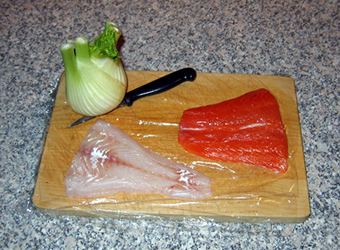 Put everything except the fish and the crème fraîche into a saucepan, and bring to the boil. Simmer for about 20 minutes unto the vegetables are tender. Add the fish and cook for about 3 minutes. Remove from direct heat, stir in the crème fraîche, and serve.